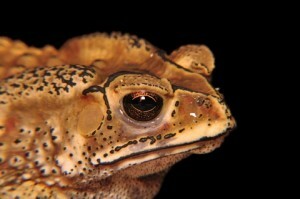 The Asian common toad (Duttaphrynus melanostictus), a relative of the cane toad (Rhinella marina) has been discovered in Madagascar. This is a non-native species first observed on the island in March this year. It is believed the toad may have been transported on a shipping container from South East Asia and there is a worry over the danger this species poses to the fragile and endemic flora on the island. The main fears are that this species is poisonous like its relative the cane toad and, therefore, the Asian common toad has the potential to poison local wildlife. As the native fauna will not have been exposed to Asian toad toxins it is unlikely they will have an evolutionary defence against them. In addition, there is a fear that the invasive toads may carry diseases, such as the deadly Chytridiomycosis fungus (an infectious and fatal amphibian disease). There are also worries that there will be an absence of natural predators on the island and therefore this species may be able to breed readily, resulting in a population explosion similar to that observed in Australia following the introduction of cane toads in 1935.